Today’s guest post comes from Barbara in Robbinsdale. I have loved secret passageways and other hidden places since I was a very little girl. The first house I remember had a bedroom closet that my mom fixed up as a play house. I remember a hanging light bulb and unfinished attic-y floorboards covered by an old rug; I could touch the rafters of the sloping ceiling… my first hidden place. The other upstairs closet was long and narrow, and I liked how it connected to my folks’ bedroom right next door… my first secret passage. As I grew older there were more hidden places: the house my grandpa built with its “secret staircase” to the attic, cleverly tucked into a bedroom closet; a friend’s house where the bookcase in the main room <i>was the door to the up-stairway</i>! Heaven. Closets under stairways, pull-down attic staircases, “forts” under pine trees, pedestrian tunnels under busy streets… I’ve always been drawn to these. So imagine my delight when, on a walking tour in Lyon, France in early May, we came upon the Traboules (originally from the Latin ‘transambulare’ , meaning to cross, pass through). In the 15th and 16th centuries during the height of Vieux (Old) Lyon’s silk trading with Italy, city planning was not at its best. Most streets ran parallel to the river, making it pretty difficult to get from one street to the next without taking a long detour. Merchants and Italian architects created, between the courtyards of the buildings, a network of passages – usually hidden by doors that were used as the outer entrance to the apartment buildings. They were then used by both the hard-working and the indolent. Many of these passages still exist, and some of the available entrances are now marked with a plaque (as between the two doors in the photo); others look very ordinary. Often there is a set of mailboxes in the courtyard behind these doors. These were used by the French Resistance during WWII – perfect locations in which to exchange messages. What is (or was) your favorite hiding place? grandpa jb had a refrigerator with candy on top and a great upstairs complete with a hidden secret place behind the bokshelf. he also had the room downstairs where the coal chute used to empty into. not much for hiding but great for dreaming up escapes from being held hostage by the bad guys who locked us in and were holding us for ransome. the great big house i visited twice a year in fargo where my grandpa jb lived turned out upon my return years later to be about 800 sq ft with a bedroom upstairs and an unfinished basement. different perspective but man oh man did we have adventures when the cousins would get together. My grandma’s house had a coal room, too, right next to the fruit room with all the canned goods. There was a basement that had 4 different parts. All with cool rock walls and heavy timbers for rafters above. There were two chutes for sendin clothes and linens down to the laundry. It’s a mystery to me, tim, how you have lived to be this old. Tom Sawyer had nothing on you. Do you think Tom’s Aunt Polly had a laundry shoot? I sure Huck Finn’s father did not. No, I think you’re right, Jacque, no laundry chutes. I was merely suggesting that our tim and his counsins would have given Huck Finn and Tom a run for their money in terms of getting into mischief. tom was a blood brother. there was a kinship for sure. That sounds like the most incredible fun. I would have tried going down that chute, too. TIm, did you ever get the urge to see how the cat liked to travel down the chute? My favorite place to hide was at my Aunt and Uncle’s house, in the “den” where they had a set of books with Aesop Tales and Greek and Roman myths. I could sit in the closet with the book and never be found. Oh man, I would have loved that. No laundry chutes big enough to climb through, but we did have a great spot under the back porch at the house where I grew up. There was a door that let you into the space and it was cool and dark and dirty and not without a few spiders, but when you needed a place that felt like real hiding in secret, gosh it was great. My big brother had spent some time digging a hole there, so it was big enough that a couple friends could crawl in and even sit down. If we were planning on staying, a low stool or two might get passed in so we didn’t have to sit in the dirt. Wow, you were lucky, Anna – what a cool house! My mom still lives there – it’s a little arts and crafts bungalow. Even as a kid I knew it was not a large house. Being and arts and crafts design, though, it has some great spaces and neat built-ins. my kindergarten buddy has a house with a cupboard in the corner with a spinner thing on it. well if you think about it the round spinner thing is sitting on a square corner. when i was in kindergarten i was able to climp in with the spinner set right. spin with it until i was back in the corner then get out of the way and let the spinner go by so i was sitting in the corner along with the old chip that had fallen off the spinner. it was the best hiding place ever. Daughter and family took the Nooks and Crannies tour at the James J. Hill mansion last night and loved it. The Hill house has wonderful nooks and crannies. I love their in-house theater. It must have been a wonderful house to be a child in. I’ve toured that home, but nobody mentioned the nooks and crannies. Dang. Shoot, I forgot you live in Oregon, Steve. A tour that I was on at the House of the Seven Gables included a secret passage way. As I remember it, there was a narrow stair case hidden behind a panel that lead to the room above the room with the panel. I need to get to that some time. Interesting. So did Robin and I and my daughter and her fiancee. This was meant to go under Clyde’s entry about the tour. Huh? What time were you there? So we’re they. Parents. 12 year old girl with glasses and long curly frizzy blonde hair. 10 year old boy. 12 year old girl who twirled a lot? The kids were great. They asked a lot of questions and the guide was very engaged with them. My daughter says that was the other family,Newhouse were wonderful, as was the guide. My maternal grandparents’ little farm house had a great huge closet off the living room where my favorite cousin Steve and I would sit in a play for hours. It was built above the basement steps so the closet had steps and levels that we could burrow back in through boxes and blankets. Once we emerged from the closet to find everyone in a panic looking for us. Tons of hay in the hay in the haymow had tumbled down, and, since we also liked to hide in the haymow, people had been frantically trying to shift the hay in the barn to find our crushed, lifeless bodies. Once I opened that closet door to find the spare prosthetic leg of my mom’s cousin, Rosalyn. That was kind of unforgettable. When you were little, Renee, did you also think their little farm house was bigger, like tim’s was in his mind? Absolutely. The house is gone now. We drove past the farm last summer. It was in Pipestone county near Hatfield. My sister has two sons. The younger one designed a home for the elder one, a home that became famous several years ago because it had so many fascinating secret spots. The home was built in 2005, I think. Some six years later photos of it “went viral” on the internet. The single feature getting the most attention was the child’s bedroom with a pirate ship in the ceiling. There was also great publicity about the corkscrew slide that had a secret entrance. You could slide down from the mud room to a soft landing in the basement. I’ve done that, and it is a thrill. For some reason, I’ve seen no publicity about the secret passageway to the office. A suit of armor guarded that. If you moved the suit of armor you could walk up a twisty secret staircase to access a hidden office. This supposedly gave adults access to an area of the home where kids didn’t go. If memory serves, Steve, you wrote a blog post about that pirate-y place. I recall Crystalbay writing about it once. Now that you mention it, I’ll be it was CB! I found that house online several years ago. What a wonderful, wonderful room and house. With you having such relatives, I am even more pleased for our upcoming virtual marriage. Maybe we could get married in the pirate ship. Then slide down that twisty tube to the basement. Except for playing hide and seek, I don’t recall doing much hiding. I do recall once, while at the boarding school, my sister disappeared. The nuns had been frantically looking for her for hours, but she had simply vanished. Finally they asked me to help find her. I had no idea where or why she had gone into hiding, but for some reason – that is still a mystery to me – I figured out she had to be in one of the many cubby holes under the various stairways in the building. Sure enough, she was in the first one I looked in. Turned out the reason she was hiding was that the elastic in her ugly, boarding school-issued underpants had broken, and she couldn’t hold them up. To this day, both my sister and I vividly recall the incident and laugh about it. Kids! Pretty intuitive, PJ. I forget, are you and your sister close, now? Not really, Barb; it’s hard to be close when you live that far apart and see each other once or twice a decade. Good morning. One of the best hiding places for kids that I remember was a series tunnels and small rooms in a big pile of hay bales in a barn. I don’t know who did the work to create those tunnels and rooms. I think the barn was not in use. It probably was part of a farm that was sold off to developers of housing developments. Apparently some kids had found a way into the barn and created the tunnels and rooms inside the big stack of hay bails in the barn. I have a vague memory of getting into the barn through some kind of hole in the side of the barn. The passage ways in the hay were not big. You had to crawl through them on hands and knees to get to small enlarged areas where you could sit up and have meetings with other kids. A good barn is unbeatable, esp. if there’s a hay mow and a rope swing. Were there kittens around, Jim? The barn with the tunnels was not in use and there were no kittens or cats. There were cats in a barn on my grandfather’s farm that were not tame. They were hard to catch and would use their claws on you if you did catch them. One of my cousins did that in with bales in their barn. For many years my job was unloading wagons while Dad stacked the hay in the barn. When eventually it was my job to stack I tried making a few tunnels, but it was really hard! I kept thinking it’s like 3-D chess! Especially since I alternate bale direction on each row, if you left a gap below, it was harder to put the next bale on top. I think the tunnels that were made in the pile of bails I explored were made after the bails were stacked. If I am right the tunnels were made by “digging” holes into the stack. Hmmm, alternate use for straw bales until they go for gardens! This is a super tough post for me to comment on. Every house we lived in was a straight-forward post-war affair. Anything remotely intriguing associated with any of my grandparents was strictly forbidden. When I was househunting, I wanted more than anything to get a house with an attic you could get to without a ladder. That did not happen. I suppose this is why I cruise real estate websites looking for something wonderfully offbeat. Or at least with an accessible attic. Literature has made much of attics, that’s where all the good stuff is. I’ve looked into those pull down stairs, but I think the only place I could put one is smack in the middle of the living room. And then there is the time and expense involved, all for a house I don’t expect to be here in a decade or two. Did find an old stone post office in a small town near Decorah for sale. Part has been converted into living space, part is still the old post office. My spirit of adventure would love to take a look…..
A month or so before we found the house we ultimately purchased in West St. Paul, we made a valiant effort to buy an old corner confectionary in Northeast Minneapolis. The neighborhood was absolutely not convenient for us, but we fell in love with the building. It had been used as a house for quite a while, but was charmingly maintained; quaint and quirky. The ceiling in the basement was about 5 feet high, but a lot can be overlooked when you’re in love. There was a secluded backyard, a falling down garage, a cozy screened in porch and would have been delightful place to live. We happened on it the day it went on the market (a Saturday) and the price was in our range. We got preapproved for a mortgage to be sure we could get it before we sold the house we were living in, went and looked at it again, prepared to make a full-ask offer, and by then (maybe 4 business days after we’d first seen it) there were multiple offers and the bidding had it up about $35,000 above the original asking price. Well out of our range. It was for the best, the house we bought is close to my 91 year-old mom and our kids and grandkids. It’s where we should be and it’s all good. But, oh I loved that confectionary! So people have fish stories about “the one that got away”. I have a mental folder of real estate that “got away”. Just looked again and see they are now making these strps in a telescoping steel style. Intriguing. Yet another thing I love about the internet. Things like this and Murphy bed hardware are just clicks away! I love the internet. Just last night I looked up Ostrander MN. ill bet you could have one installed to your liking. if you designed it what would it look like? after all these years you deserve it. All the good stuff as well as all the Mrs. Rochesters! Jim’s post reminds me of the home I lived in during the early 1950s. It had a large garage that had been built to house livestock, probably in the late nineteenth century. My dad’s company created toy animals stuffed with ground cork. They made a bulk purchase of ground cork that was stored in our garage. Big mistake! Imagine a garage the size of a small barn. Fill it with a stack of burlap bags filled with stuffed cork. Each bag was as big as a man and probably weighed 80 pounds. All these bags were stacked in a jumble, making countless hidey holes. I’m guessing there were about 40 bags in a mound 20 feet high. We had a thick manila rope on an overhead rafter so we could swing in the air and let go, flying until we landed softly on the bags of cork. All the rough play we enjoyed in that place caused the bags of cork to tear and spill their contents. When we sold that home and moved away the garage was filled with broken bags of ground cork, and I can’t imagine how they cleaned that up. No, and I’m not sure why. My folks never went there, so they probably didn’t know what was happening to those bags of cork. Sure was a mess. I’ve really only had one hidey-hole in my life, although I suppose these days my house could be considered a place I can burrow into. When I was in the 2-4th grade, we lived in a big Dutch colonial on a corner lot. Big evergreens on the corner of the house. If you slid along the side of the house, you could get back behind the evergreens; there was probably a 4-foot gap. It was a wonderful place. I used to sit back there and read or I would play “bakery”, making mud pies and cakes with dirt, mud and ashes from the grill. If anybody ever knew I was back there, they didn’t let on. I also liked hiding up in a maple tree we had in our front yard. I could climb pretty high up, and the leaves were so thick and large it felt like no one could see me up there. These days I hide in plain sight with a book in my lap. The 1950s house we moved to in December has both an attic and a fallout shelter. The attic is wonderful; too narrow and mostly low ceilinged to be easily or affordably converted to anything other than an attic, but a wonderful hideaway for our 5 year-old granddaughter. She has claimed it as her own, although it’s mighty warm up there this time of year. One of her older brothers says the whole house has a “weird, creepy vibe” and the other has only recently managed to muster the courage to venture alone to the basement. Neither boy has any interest in spending time in the attic. There’s just no accounting for taste. The fallout shelter is a concrete room under the garage. There’s a short door from a room in the basement into the shelter that was originally the only way in or out. At some point, previous owners decided there was no longer any need for a hermetically sealed concrete bunker, and added a doorway (definitely not fallout-proof) from the bunker to the backyard; they used it to store outdoor stuff. We need to redo the garage floor before the shelter will be of much use to us. In the winter, the snow melting off the car seeps into the bunker making it dank and unpleasant and damaging to anything stored there. We hope that someday it will be a more functional and even fun space. It would make a great root cellar, but we really don’t have many roots. Tante Ingeborg and uncle Ejnar lived in an old, small brick house with a wonderful attic. In addition to an open space with racks of old clothes, the attic contained two small rooms that had once been occupied by their son and daughter who had long since married and moved away. Elly, their daughter, had left behind a large stack of old magazines, boxes of paper dolls, and assorted exquisite collections of chicken rings, marbles, games and paper napkins. These treasures were there for my sister and me to play with whenever we visited. The adults downstairs talking, smoking and drinking coffee, Randi and I upstairs breathing new life into Elly’s toys. One of my childhood’s favorite refuges. We’d make these long chains of them and carry them around our necks. Play, hide, read in the hay now until allergies stopped me, but hardly a hideyhole. Despite all the farm buildings, no real place except in front of horse manger, not very secret. Allergies stopped that. But places in the woods, under spruce trees, forts (lean-tos) we built, and in the deer stand, a secret for I cliff hidden in wooded above our farm. Yes, I was thinking of your woods as your hiding place, Clyde. I remember as a kid there was an uprooted tree stump that I spent a lot of time sitting in. Kelly remembers a pile of rocks she played on. For a few years there was a gully under the roots of a grove of pine trees and I had a fort in there complete with old metal tractor seats. Oh, and I remember sitting in the space where the dishwasher would go a few years later. That was a nice cozy little space. At a former theater, the furnace room was off the sound and light booth. One of the directors was from CA and he was always cold. Mid winter it wasn’t unusual during a show to see him come in, all bundled up with the scarf around his neck and quietly open the furnace room door and slip in there to warm up. Ten minutes later he’d come back out, warmed up for a while. COMPLETELY OT. Blevins in August – I took an informal poll and got 2 votes for the 16th and 2 votes for “whatever works for everybody else”. Shall we go w/ the 16th? This is our 5-year anniversary and we’ll be meeting at Minnehaha Falls (which was our first meeting spot)! The 16th is fine with me, and I’d like to ad a reminder if you intend to read Wally Lamb’s I Know This Much Is True; better get started, it’s almost 900 pages. 8/16 works for me and yes PJ it’s a long book. I’m still in the first third and anxiously looking forward to the promised triumphant redemption. It’s a good book, but not an easy read or a cheerful one to this point. I confess I found it on cd (in 2 volumes no less), read the synopsis on the back cover and returned it to the shelf. There was another book club selection years ago that was about a horribly dysfunctional family and I could not go that one either. I think I will instead devote myself to cookbook reading in preparation on the chance I can make it on the 16th. The David Sedaris is a much easier read! And so funny. I had it on CD (read by the author) in the car. I laughed out loud at least a dozen times. If I didn’t have to try to get through the Lamb (book and CD in an attempt to get ‘er done), I’d have listened to it again. Oh, mig, that’s too bad, it’s really a wonderful book. But Caroline is right, it’s not an easy read. Gut-wrenching in many ways, but also a very compelling story. Whi h David Sedaris? I missed that one and I should like a laugh (just spent the entire morning trying to make a class schedule and college visit trip “work”). I don’t think I am up for the gut to be wrenched at the moment. I’m a quarter way through, and have been glad I read something else by him, so will stick with it. It is pretty dense, though! August 16th is fine for me. August 16th or 23rd are good for me. Grandparents on both sides of my family had farms. One of them had a wonderful grove with grape vines that formed a little den. I am still trying to create such a space. The other farm had a large wooded pasture along the Watonwan River. I went there often, sometimes via horseback, and spent the day. Not exactly hiding, but “lost” in the woods. I hid in lilac bushes in a nearby park one day when I was in second grade and was late to school, afraid of the principal. Spent the day and forgot to track the time to go home for lunch. Frantic parents when I finally appeared after 5 pm. Got a real good spanking….maybe the only one I ever got. There were thick bushes of several varieties with hollow “rooms” in the midst of them on one section of the two-block area our elementary school (Groveland, Steve), playground, sport fields, and skating rinks were. My friends and I spent long summer hours playing, reading, picnicking, and just being in that special place. I don’t recall it being buggy, but it probably was. I’ll have to drive by there some time soon and see what they’ve done to discourage that kind of secretive behavior among the current kids in the neighborhood. Reminds me of a grove of trees at the Rose Gardens by Lake Harriet – there was a big open space in the middle, good for picnicking and hiding from the world for a bit as the trees had quite low branches and created a nice screen. A “good spanking” sounds like an oxymoron to me. As part of a flood control project, a veritable mountain range of clay was deposited in the Hallow of Moorhead, Minnesota. It was there for years. The weeds grew profusely over the terrain which soon became a battlefield. Sides were taken. Forts were built. Ammo (clay balls) was accumulated. A trash can lid made a good shield. The appliance store above the provided me with a cardboard box maze. It was from there that I would sortie and retreat as necessary. We always saved ANY large box something came in, esp. appliances, as the kids could turn them into such cool forts. We had a big yard growing up and the front of lawn by highway was a swampy ditch that grew tall cattails in the summer. That in itself was fun, but there was an area to the side just out of swamp that had a big boulder, a raised mound of dirt or gravel and big bushes around it. To me it was a little shack with a living room and a little bedroom where the bushes parted a bit. I played there a lot. Even though I have 6 siblings, I always played alone. I was an odd child. Toured the Winchester House in San Jose 4 years ago. Interesting. But, oh, my, the lies they tell on that tour. That was the other thing that came to mind. I haven’t seen it but the history (lies or not) is fascinating. You never cease to amaze me, tim! Yikes – “now that i think of it it was a bit dangerous”. I’m so glad I wasn’t your mother. I think that there’s something about kids being intrigued with their grandparents’ attics. When a gaggle of grand kids show up here, they often have to use the pull down stairs and rummage around in my small attic. A few months ago, when I did weeks of cottage decluttering, I deliberately chose not to disturb the attic. Why would I want to rob them of the pleasure of exploring after I die? Besides, most of the stuff crammed in that space is too heavy to bring down on the skimpy pull down stairs anyway. When I was at my grandma’s I’d have to check out the attic as though some never before been seen treasure was up there. Unfortunately, she’d rented the 2nd floor of their majestic Victorian home so I never got to see it. Because the upstairs was rented, they blocked off the stairwell coming into the first floor. This was, to my young mind, their ATTIC; one which I could never get to explore. In the first house that I can remember (ages 3-6) there was a hidey place off my bedroom made by a walled off section under the roof slant. I have wanted to revisit that house and, not remembering much else about it, I would go first to see if it is still there. This has brought a few other things to mind. 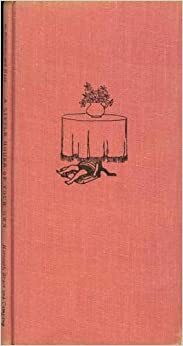 A book I love but cannot now find about a little girl talking about all the little houses she made for herself (blanket forts, big enveloping chairs, bushes, etc.) It was a narrow pink book with a hard cover and I thought the title was something like A House of my Very Own but a search has found nothing. Anyone, Buehler? OK, I give up. 45 minutes of trolling the internet – nuttin! This sounds like it might be it. I found this image… I didn’t put “Little” into my search. That’s IT! Thanks so much you guys. I was so focused on it being MY own, I never looked for YOUR own. The reviews on Amazon reflect my feelings about it, too. Now I just have to find the book in some box around here in time to read it to my grandson. I wasn’t sure from the images I found, but I had the edition VS found. It’s long gone now, but that’s the book! Loved it as did my daughters. As a child, I liked hiding from people, but not in closed-in spaces. Up a tree, outdoors in various places, hiding in plain sight but out of sight from the house. Not indoors, no small, snug spaces for me, thank you very much. I still love playing hide and seek whenever anyone with kids comes for an overnight. Any version of it, like Sardines… And when we had the big house in Winona, Flashlight Hide and Seek was fun with a little kid or two. I had a real estate one-that-got-away just before I bought my current house. I made an offer on a spacious house a little south of where I live now. One of the bedrooms upstairs had a closet that had a little door in the back of it, maybe about four feet high and three feet wide, that led into a tiny room with a sloping ceiling. I had plans to put a little bookcase and a teeny chair in there and make it into a hiding place. The house had some water damage after a storm around that time, and the owners took it off the market while they made some repairs. I think it was relisted about a year later, but I had already bought my house by then. I really liked that house.